POSTS The”wild”fermentation and its secrets! 'WILD' WINES, "WILD" OR INDIGENOUS YEASTS, WILD FERMENTATION. WHAT DO THESE EXPRESSIONS ADORNING WINE LABELS OR HEARD IN VARIOUS DISCUSSIONS, MEAN? Firstly, to understand this better, we should look at some basic principles of alcoholic fermentation. To get the coveted wine, alcoholic fermentation must take place . For its completion, it’s necessary to add some yeast in the grape must, to convert sugar into alcohol and carbon dioxide (CO2). The fermentation is usually stopped when the sugar is exhausted or when the alcohol levels are too high (typically over 15%), whereby yeasts die. The yeast that is widely used is Saccharomyces cerevisiae, because it is efficient, effective and resistant to high alcohol levels. However, there is a very wide range of different cultivable yeasts (over 250) commercially. On the other hand, yeasts are everywhere in the nature, the flowers, the soil, the air, the water, and even in the grapes. Such yeasts are Pichia, Kloeckera, and Torulopsis present in excess on the skin of the grape. 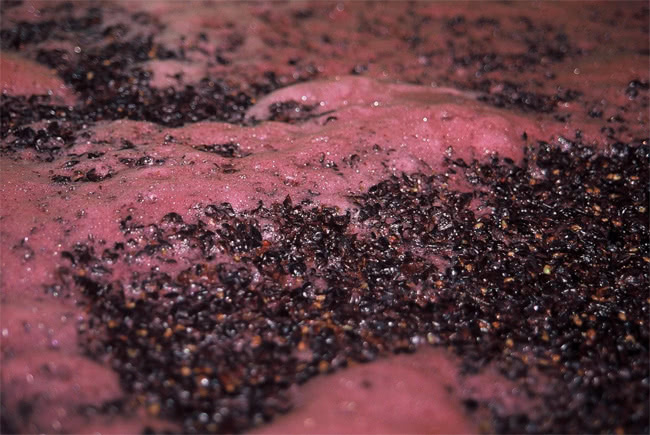 Some producers choose to use yeasts found in the skin of grapes to produce wine, rather than conventional commercial yeasts. It may sound logical and simple, but in practice it is not easy at all. Unlike cultivable commercial yeasts, these indigenous yeasts are very "picky" and it is difficult to predict their behavior during fermentation. This means that fermentation may not be successfully completed or may produce unwanted byproducts that would destroy the wine, such as acetic acid. It also requires careful monitoring of fermentation and great skills of the winemaker who will attempt it. The selection of suitable yeast is very important for the final result, since different yeasts give completely different wines. So by using indigenous yeasts of our grapes ,we are given the opportunity to make a very special and expressive wine, which will bear the "fingerprint" of its region. In these cases, we are talking about wines that reflect the terroir of the region in a unique way. Such winemaking tactics are used in Bordeaux, but in our country too, with great results. The Vradiano Wild Fermentation 2012 wine from Vryniotis Winery is an excellent example of wine that expresses perfectly its terroir from a scarce local variety. Next time, if you find a wine like this, try it! It may be "wild" but certainly it won’t bite!